Learn STEAM (science, technology, engineering, arts, and math) skills while having fun! 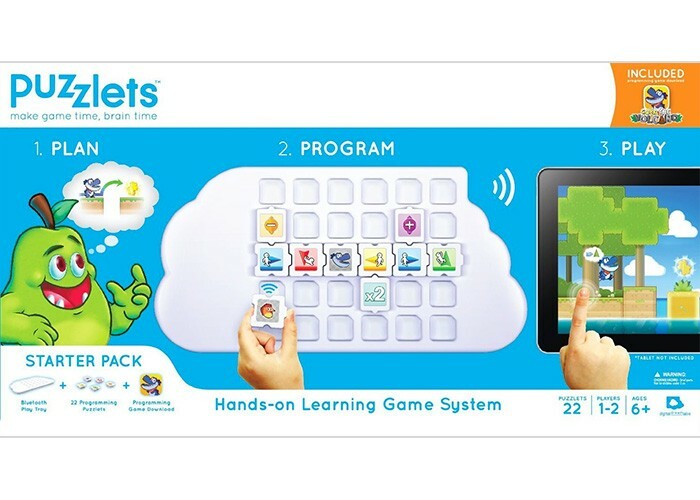 Own the award winning, hands-on learning game system for thinking that is truly outside the screen. 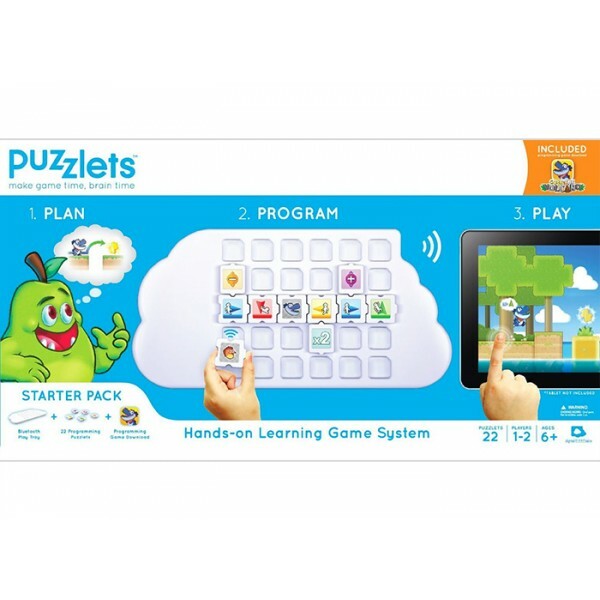 Puzzlets combines hands-on play with interactive gaming to form one seamless experience, engaging the mind and teaching the player new ways of thinking. The starter set comes with everything you need for the first game and setup is simple. 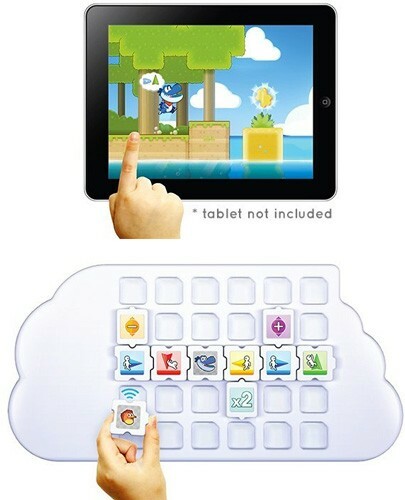 The included Play Tray connects wirelessly to a personal device like an iPad or Android tablet. 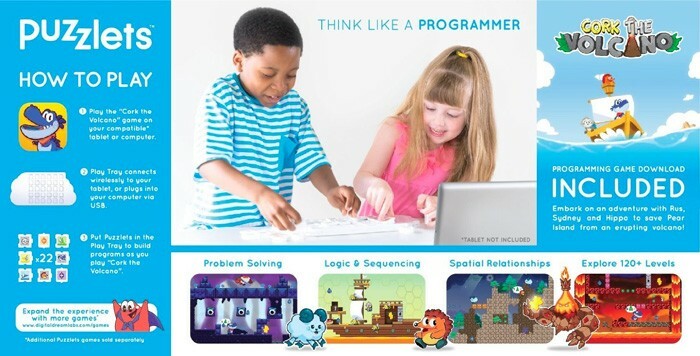 This set includes the programming game Cork the Volcano; future expansion games will focus on chemistry, math, music, and engineering. Each future game integrates new themed puzzlets (atoms for chemistry, notes for music, etc.) with the Play Tray.